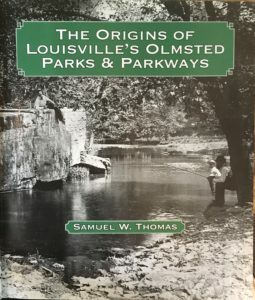 Members help grow our capacity to restore, enhance and forever protect Louisville’s Olmsted Parks and Parkways. As a member, you’ll make a direct and positive impact on the health and vitality of our beloved Olmsted-designed parks and parkways. You’ll support Olmsted Parks Conservancy’s ongoing work to keep the parks free of invasive plants, beautiful with new trees and wildflowers, and abuzz with beneficial birds, bees and butterflies. You’ll also sustain the Conservancy’s robust volunteer program, ensuring that dedicated community members can continue to partner with the Conservancy to keep our Olmsted Parks clean and green. Make a one-time annual membership donation, or help fuel our daily operations by setting up a convenient recurring monthly donation. Either way, you’ll ensure that these important community greenspaces remain exceptional places to live and grow, for generations of Louisvillians to come! We look forward to welcoming you as a member. For questions about membership options, please contact Kate Spencer, Membership Manager, at kate.spencer@olmstedparks.org or 502-456-8128. 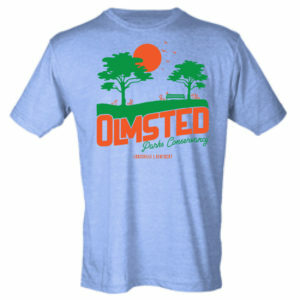 Olmsted believed all people would meet and mingle in parks, thus overcoming the barriers of class and wealth.